Mai is a co-founder of Blank Plate, a creative culinary program in Hunts Point, South Bronx that uses the power of hands-on design activities to inspire teens to transform their relationship to food while promoting issues of food justice. The program creates a positive narrative of healthy food access and equity within the local NYC food system and places it directly into the hands of the communities. What started out as a design pilot project in 2011 has now been operating for seven years as a proof of concept and is currently in the process of scaling to other communities. Mai’s insatiable curiosity and strength for unearthing insights that drive social change has led her to consult for various socially driven organizations in the education, food, health, and government sector. 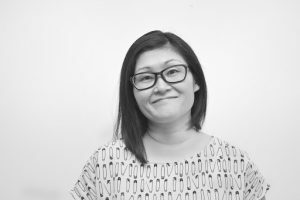 Passionate about curating frameworks that enable people to realize their potential to tackle challenges and take action, Mai explores design as a process and experience that weaves together our social fabric. She is a graduate of the MFA program in Transdisciplinary Design at Parsons, where she has taught design-led research courses.